A series of a dozen or so brief biographies of English novelists initiated in 1947 by the publisher Home and Van Thal who published a few of the series titles before the firm shut down. The series was picked up by publisher Arthur Barker who added titles to the series through 1953. A few reprints occur as late as 1973. The titles were not previously published, so technically this is not a reprint series. This 1947 copy of Bulwer-Lytton was written by The Earl of Lytton, K.G. Jackets seem to be common to the series with the Barker titles. The series name is indicated on the bottom of the jacket cover. 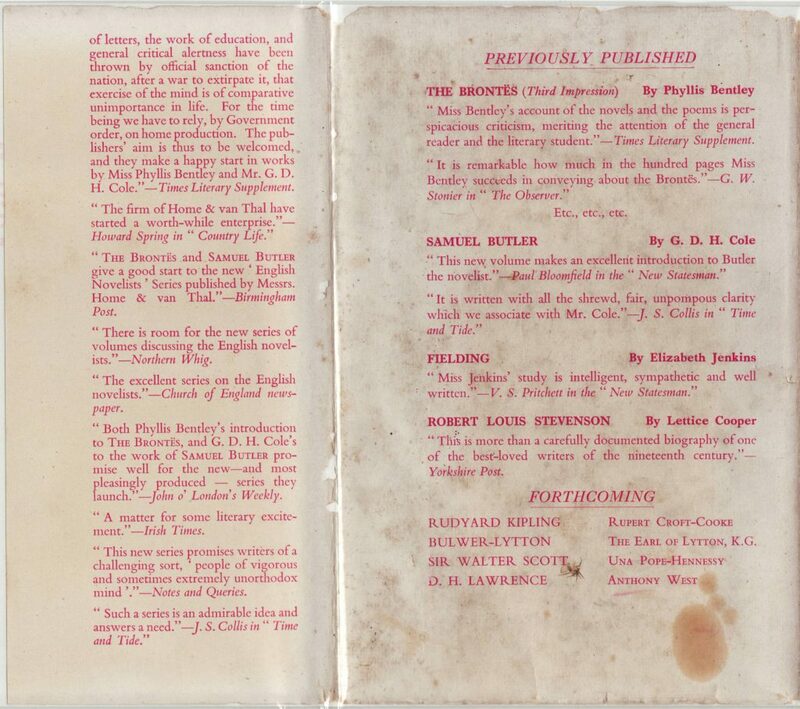 Praise for the initial titles in the series (published by Home & van Thal) is compiled on the front jacket flap. 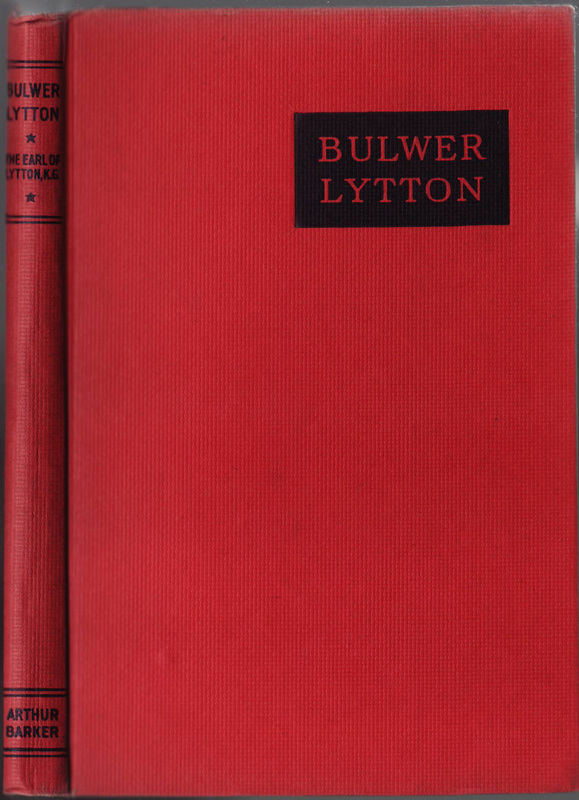 No publisher is indicated on the jacket spine. 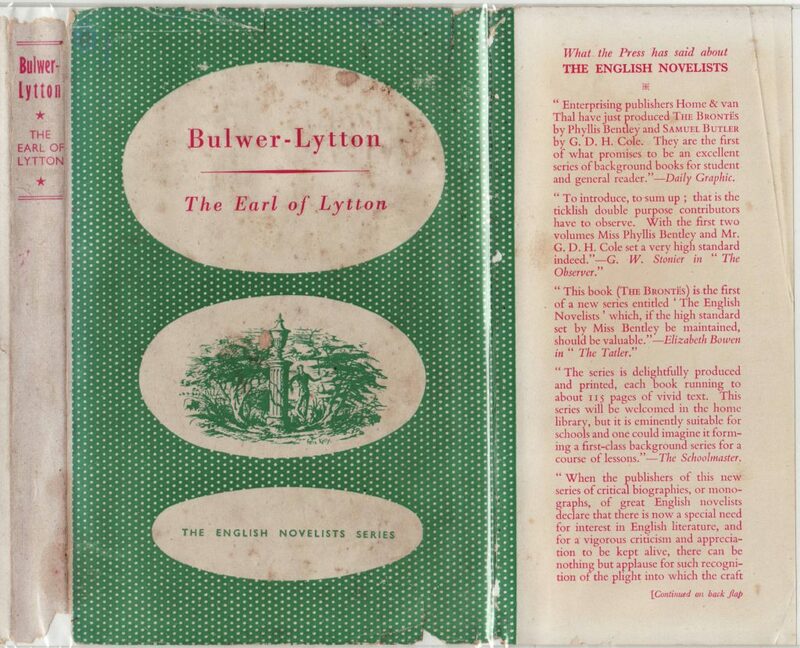 The series reviews continue on the rear jacket flap. Previously published titles, with forthcoming titles, are included on the back of the jacket. Red cloth bindings with black lettering and very basic design. Arthur Baker is noted on the base of the book spine. 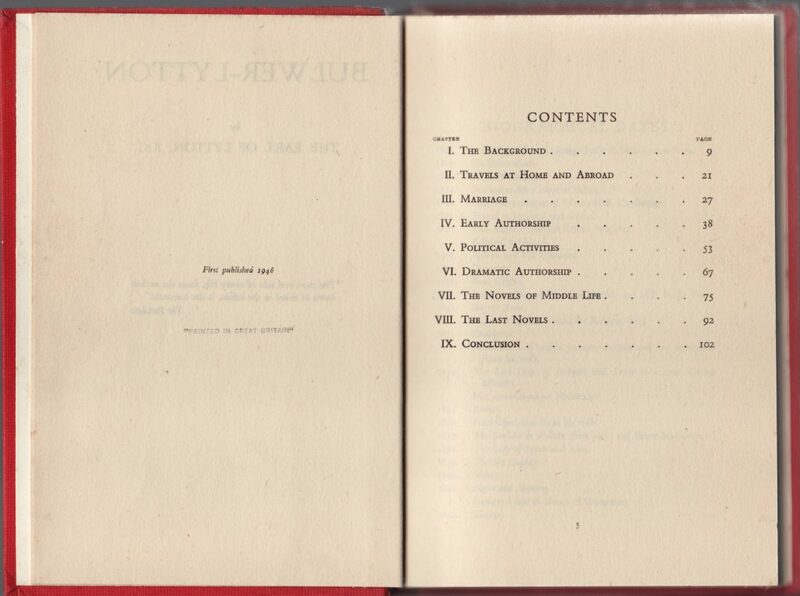 The series name is on the half-title page. 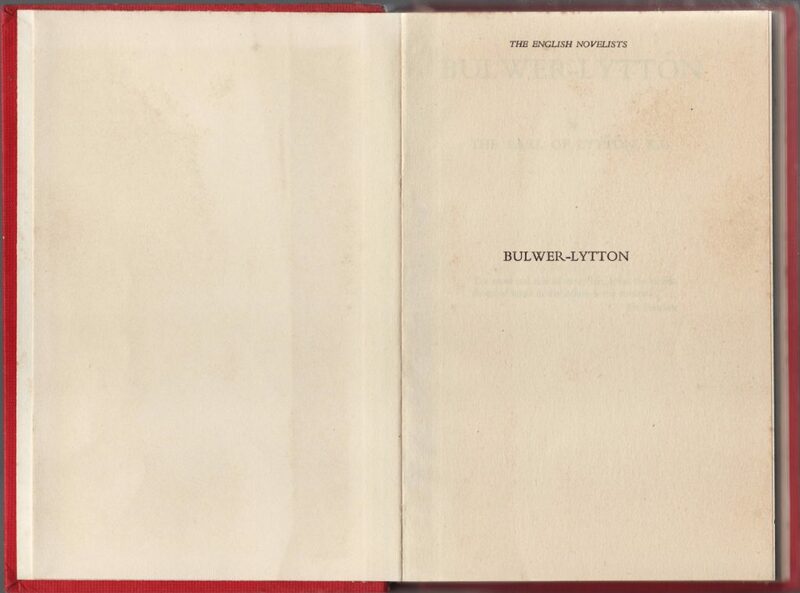 The title page which, oddly, indicates no publisher. 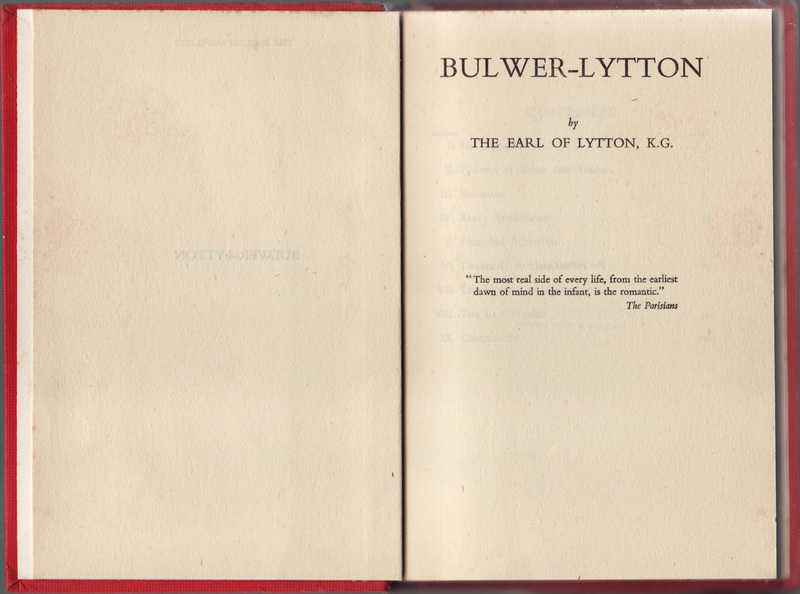 It’s possible the Home & van Thal imprint was removed but the Arthur Baker imprint not added to the title page. Copyright page indicates “First published 1948.” “Printed in Great Britain” is stamped below the date.